It was a crowded day at the Toronto airport as I was walking to my gate recently. On the way, I heard a soft but steady swooshing sound coming up behind me. 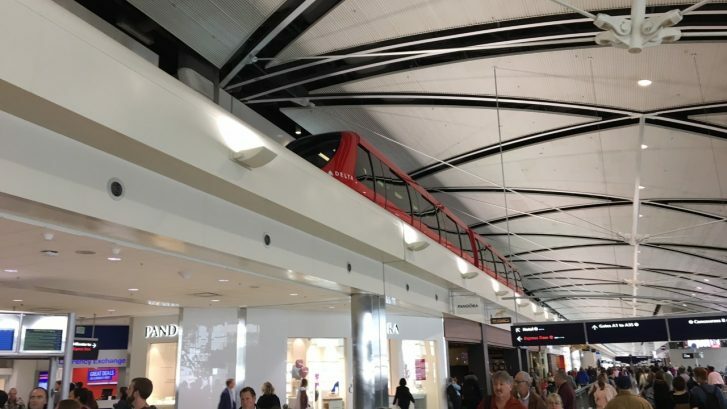 I looked up to see a red monorail drive on by above me. I immediately had a monumental flashback to my first visit to Disneyland circa 1964. I was roughly 8 years old and was in awe of all the amazing things that I witnessed, most of which was in of the Tomorrowland exhibits. 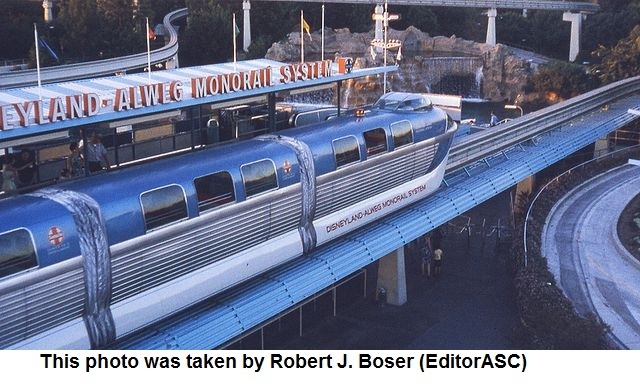 The Disney monorail was the first daily operating monorail in the United States. In my flashback to my early visit to the park, I remembered wondering if something like this would ever be commonplace. It was amazing to see it operating in Toronto and going right through the building much like it did in Tomorrowland many years ago. As I stood there watching the monorail go on by, I realized that during that same visit (or one soon after), I also spent time gawking at the first ‘push button’ telephones and first ‘touch screen’ computer monitor (it had 9 sections and all you could do was play tic tac toe). The push button phones transitioned into daily use in the following decade but the touch screen technology took many more years to become commonplace. It makes me want to go back to Disneyland to see what the future holds for the next generation. What technology did you first see at a Disney Park or World Fair? I’d love to hear about your experience. Are You Taking Advantage of the Communication Opportunities at Your Fingertips? In this extremely brief video, I talk to Roger Green of Applied Transformation, Inc. about the amazing opportunities we have at our fingertips when it comes to communicating through technology. Not too long ago, it was almost unheard of to be able to connect directly with executives of companies if you didn’t already know them but today, thanks to technology, the communication hierarchy has been virtually flattened and the opportunities this presents are huge. Are you taking advantage of the capabilities to connect which technology and social media have made a reality? Think Face-to-Face Networking Isn’t Important?–Think Again . . .
Now that we can just pick up our smartphones and immediately connect with people on the other side of the world, have in-person conversations become a thing of the past? What’s your own take on the importance of face-to-face networking versus relying on technology to connect? Please leave your thoughts in the comment forum–I’d love to hear some diverse perspectives on this. Thanks! Years ago I wrote about a great technique to get people to come to me for their referral needs. However, I recently saw a modern twist to this great idea that I’d like to share with you today. Since the late ’80s I’ve been training people to use a little networking trick that will enable them to give referrals to more people (which of course leads to getting more referrals for themselves). I talk about this trick in one of my early columns for Entrepreneur.com as well as a blog I wrote last year entitled: Use This Networking Trick to Increase Business. In a nutshell, the technique is to compose a letter that you give to your clients and contacts which states that an important part of your business is to give referrals to people looking for services that you recommend (you can find a more detailed explanation, along with a sample letter, by clicking on the link given above). Terry Burkot has created a 21st century version of this same networking technique by adding video to the equation. She still sends a personal message to all the people in her network; however, she doesn’t write a letter, she instead sends a video message which really utilizes the tools we have available to us in this world full of constantly-evolving technology. Terry used my idea (which was so last century :)) and really improved on it. Well done, Terry! I’d love to hear your comments on what you think of this modern twist to networking. What Is Your Company’s Competitive Position? 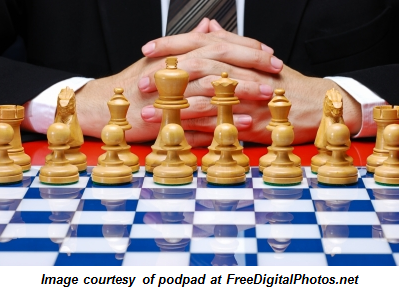 To find out how you stack up against your competition, take a little time to analyze your competitive status. This exercise will help you understand and emphasize your unique selling position. How do you differ, and how can you position yourself for the best competitive advantage? Are your prices and costs competitive? 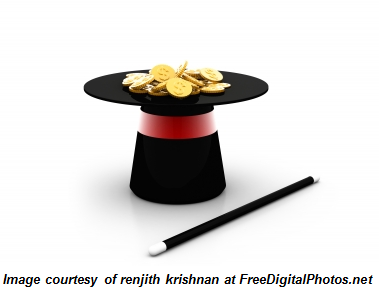 — Do customers who compare costs come back to you? Do you compete effectively in terms of product or service quality? Are you seen as the vendor of choice? — Why do people seek you out? Are you growing, losing ground or just holding onto your market share? — Are you waiting to see what will happen and hoping to react in time? Staying competitive also implies being aware of trends and reacting to changes faster than your competitors. How will changes in technology and society affect the competition? Are your products or services more advanced than those of your competition? Do your competitors have the jump on you with online marketing/social media? Understanding the driving forces in your industry — growth rates, shifts in buyer demographics, product and marketing innovations, the entry or exit of other competitors, changes in cost or efficiency and so forth — will make you a top competitor. I highly encourage you to take some time this week to sit down and ask yourself the questions listed above. Once you’ve done this, come back and leave a comment explaining what you learned about your company’s competitive position.